Some oscilloscopes are equipped with a differential input. A differential input is not referenced to ground, but both sides of the input are "floating". 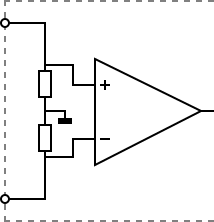 It is therefore possible to connect one side of the input to one point in the circuit and the other side of the input to the other point in the circuit and measure the voltage difference directly. 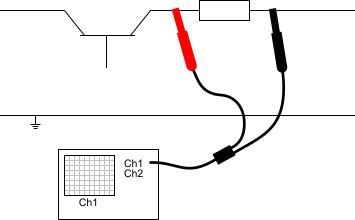 No possibility to create a short circuit to ground through the oscilloscope. Only one channel is used to measure the signal. More accurate measurement, since only one channel introduces a measurement error. The Common Mode Rejection Ratio of a differential input is high. If both points have a relative high voltage, but the voltage difference between the two points is small, the voltage difference can be measured in a low input range, resulting in a high resolution.